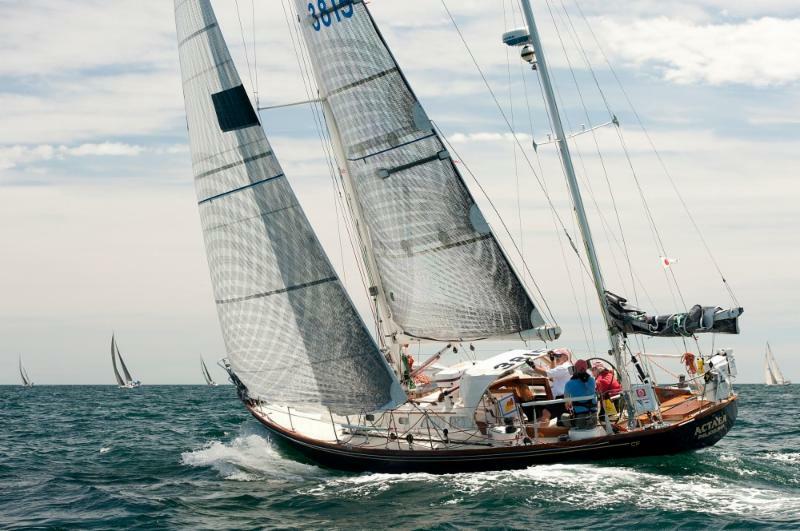 In the last three Newport to Bermuda races, boats with GMT rigs have won their class or division. Two of those were awarded the coveted Saint David's Lighthouse Trophy for first out of 85 and 96 boats respectively. 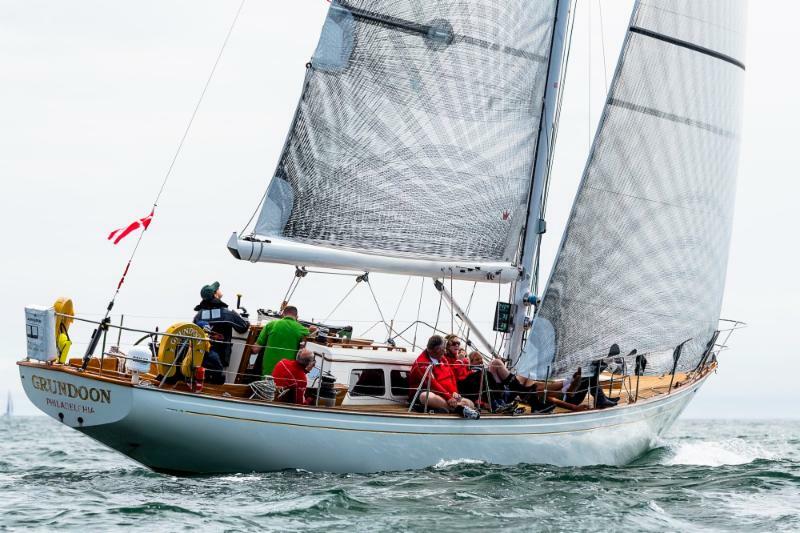 This beautiful Columbia 50' was fitted with a new GMT rig just before the 2018 race. She won her class and division, being awarded the Saint David's Lighthouse Trophy for best corrected time out of 85 boats in class. Jim Grundy, owner, was also awarded the William L. Glenn Family Participation Prize for sailing with his daughter and two sons. 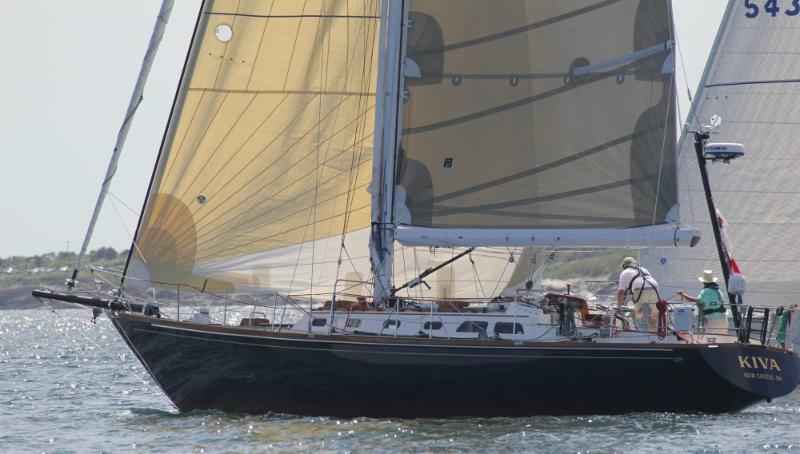 They were also awarded the Dorade Trophy for vintage yachts over 25 years old. Shows what you can do with the right team and the right specialists on your side! Photo above features our very own David Schwartz, watch captain for the race, trimming at the start in Newport. More on Grundoon coming soon in our next Carbonics Issue! GMT has been working with Mark, the owner of Kiva, for years. We have built him two rigs, a bow sprit that has seen many revisions, and a very cool stern mounted swim ladder. In 2016 he accomplished his long time goal of winning in Class 1, the Double Handed Division in the N2B. This 1950's Hinckley Bermuda 40 was fitted with a carbon GMT rig and the owners, Mike and Connie, have spent years getting her tweaked just right. She won first in class as well as the Saint David's Lighthouse Trophy for best overall corrected time out of 96 boats. When asked his upgrade advice to owners racing older hulls, Mike stated, "If you have a centerboard, fix it, otherwise, go with a carbon rig. You are not competitive without it."